David Daniel has been a part of the Maxwell Roofing & Sheet Metal, Inc. family since July of 2018, serving as a Service Project Manager and Estimator. David has lived in Middle Tennessee his entire life. He spent the first half of his childhood in Cumberland Furnace, Tennessee, before moving to Lascassas, Tennessee—just outside of Nashville. David got into the commercial roofing business when he was 18 years old and quickly climbed through the ranks to a foreman of a small crew at age 19. By age 21, David was overseeing multimillion-dollar commercial single-ply and metal projects. At age 26, he was promoted to superintendent. After that position, David was promoted to project manager, service manager, operations manager, and finally, general manager of a large commercial roofing service and repair company. 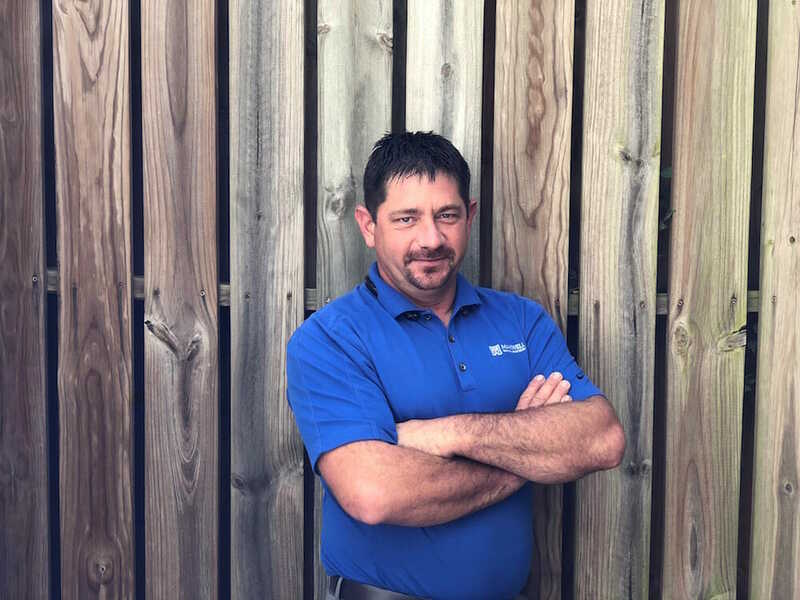 With more than two decades of experience in commercial roofing—David’s knowledge of the industry and personal experience with projects in Middle Tennessee have all led him to become a valuable partner for Maxwell Roofing clients. In his role as Service Project Manager and Estimator—no day looks the same for David. On any given day, David might start the day on the computer, completing estimates or ordering materials and end the day putting on his work boots and getting dirty while investigating roof issues. “In all these tasks, my goal is to be able to provide quality, cost-effective solutions to meet our clients’ needs,” David says. While David supports a variety of different clients, he specializes in working with commercial buildings that might be dealing with water infiltration issues. Partnering closely with clients and Maxwell’s account managers, David works to come up with the best solution to stop current infiltration issues and prevent future occurrences. For David, Maxwell’s values and collaborative culture are two of the biggest reasons he joined the company. “Our team is really like a family,” David describes. “We have a really fun atmosphere and everyone works together in order to solve problems,” he adds. David also collaborates with Maxwell’s account management and operations team within the service department to problem-solve and mentor others in solving problems that can cause water infiltration issues in commercial buildings. The importance of family is something that is foundational for David, especially in his life outside of work. “My favorite place is home,” David says. For David, “home” includes his wonderful wife and soulmate, Aimee, five children (Destiny, Shyanne, Kayla, Austin, and the youngest is Dylan), five dogs, four horses, two cows, two goats, 100+ chickens, and a donkey. “There are a lot of mouths to feed,” he admits. “I want to be the best father to my kids and make a positive difference in the lives of the people close to me.” Maxwell’s unique culture and work environment are intentionally created to support David, and others like him, in achieving this goal.